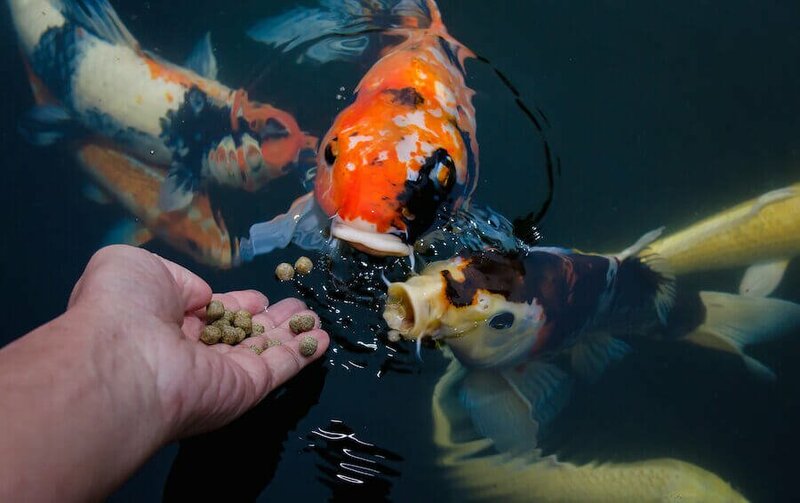 Overfeeding results in the accumulation of waste simply because your fish may not be able to eat all the food and/or because of increased amounts of waste produced by your fish by eating more then they really need. Human beings are hot-blooded, meaning we have to get energy in form of food in order to maintain and stabilize our temperature. 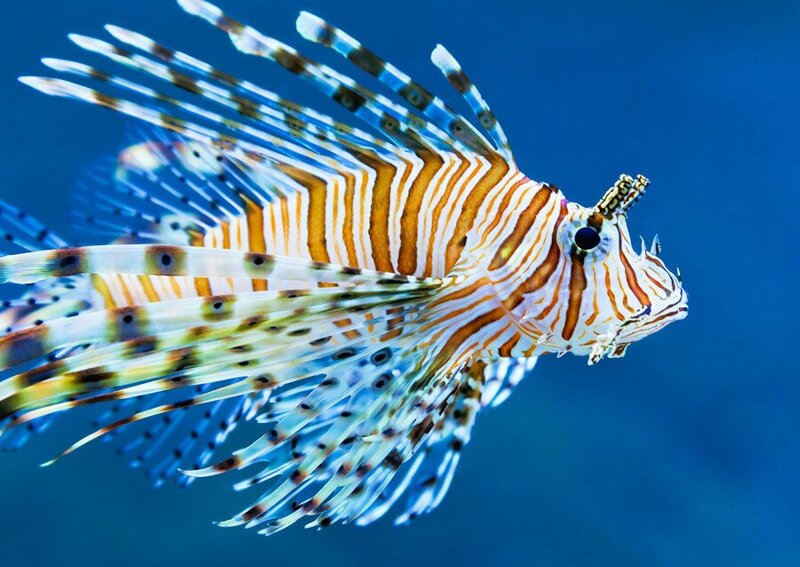 Fish are cold blooded, and their temperature is controlled by the environment they’re in. 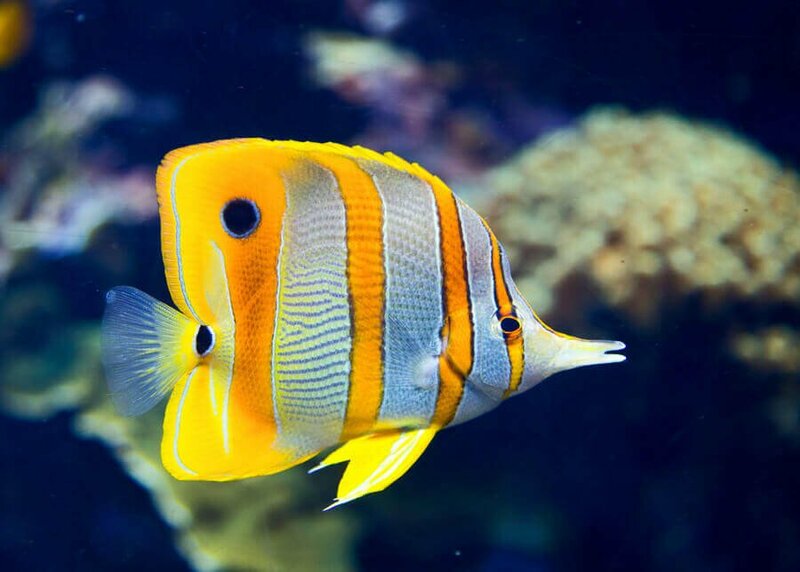 The metabolism of fish is controlled by their surrounding temperature. The lower the temperature, the lower the digestive time. 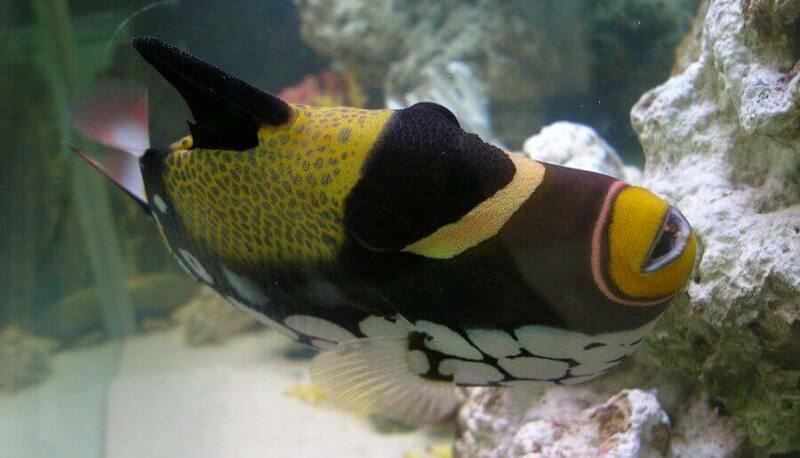 Generally spoken, the digestive time for fish kept in 74-78 degrees is about 16-24 hours. Therefore once-a-day feeding is ample. 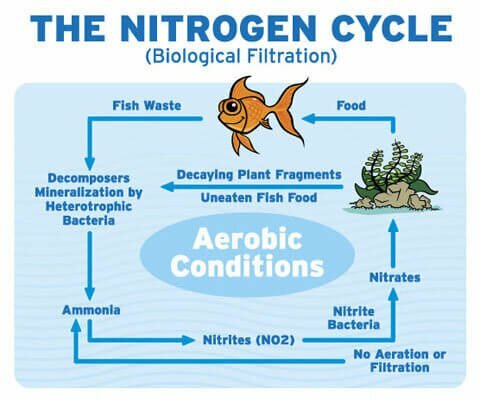 Increasing levels of nitrates as well as other pollutants are an indicator of overfeeding. Lower dissolved oxygen levels and a declining pH follow in consequence. 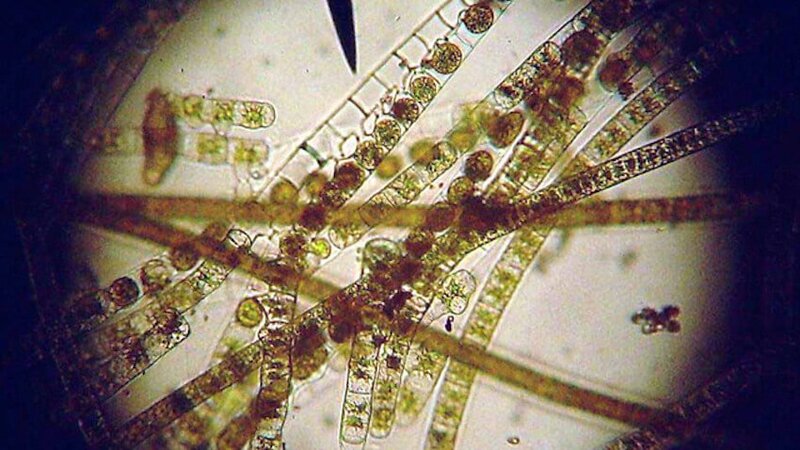 This pollution is caused with no benefit to your fish. It is most likely the result of your good intentions. Different fish require different foods. There are top feeders (upturned mouth), mid-water feeders, and bottom feeders (mouth on the underside). Hence, floating foods, slow sinking foods, and rapidly sinking foods should be used. A combination is suggested to ensure proper nutrition. 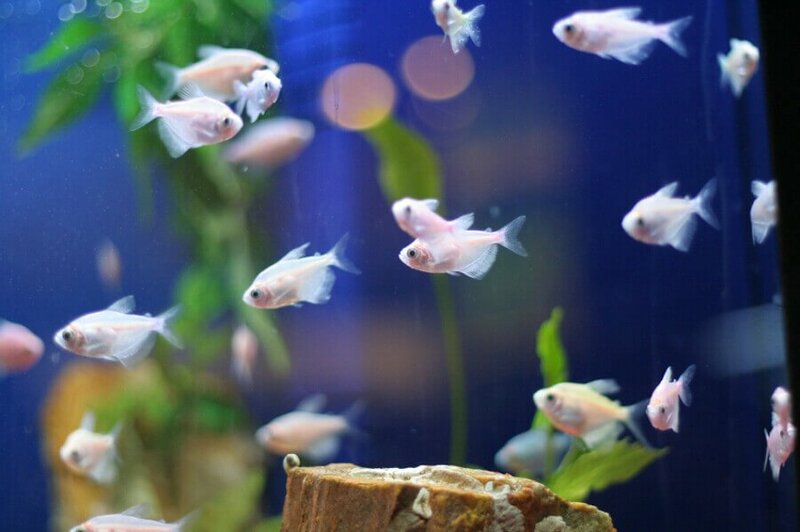 Live food supplements can be used once a week to complete the nutritional needs of your aquatic friends. Like most animals, fish will eat more then they need. Yes, it’s fun to watch, but we do not want to feed the whole aquarium. An alternative is to feed several times a day. What matters is the amount we feed. 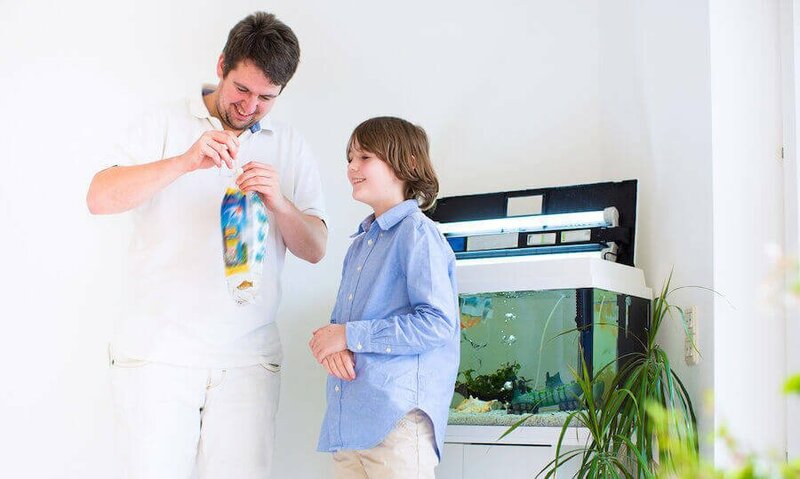 One method of determining the right amount is to feed until your fish slow down their consumption, however this should never exceed the amount they can eat in 1 minute. At this point the amount of food you used should be sufficient for the entire day. It is up to you to either feed this amount all at once or in small quantities throughout the day. Fish eat, or better said nibble, all the time. A pinch of your set amount of food throughout the day is probably more accurate to a natural environment. But with our busy life styles feeding once a day is no problem. You should try to do this at the same time every day. 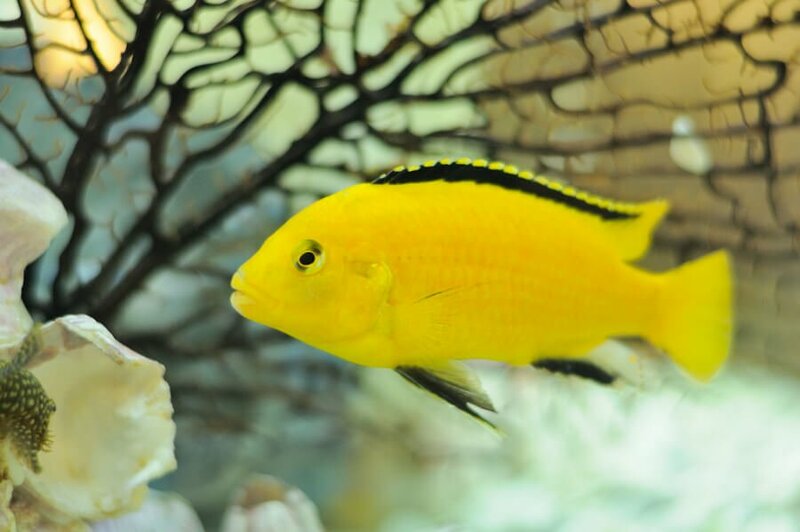 Remember to adjust the amount of food when adding fish to your tank or changing food brands. Worried about the big fish getting all the goodies? Don’t spot feed! Instead of pouring more food in the tank, spread it out to ensure everyone eats. It’s easier to overfeed in larger tanks. As we tend to loose ourselves in the human tendencies. 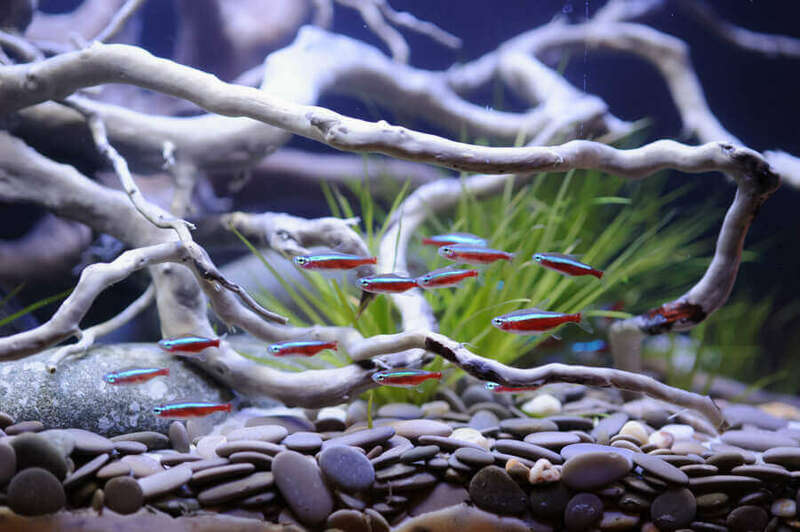 6 fish in a small tank eat as much as 6 fish in a large tank. In conclusion, closely observe your fish during feeding to assure all eat adequately. Remove uneaten food using a substrate siphon, unless you want to give your filter overtime and pay for it by constantly cleaning it. I feed two pellets and a pinch of flakes once aday is that about right thanks.I have one small aglea eater 4tretras and 6guppies 5 neon tretras. 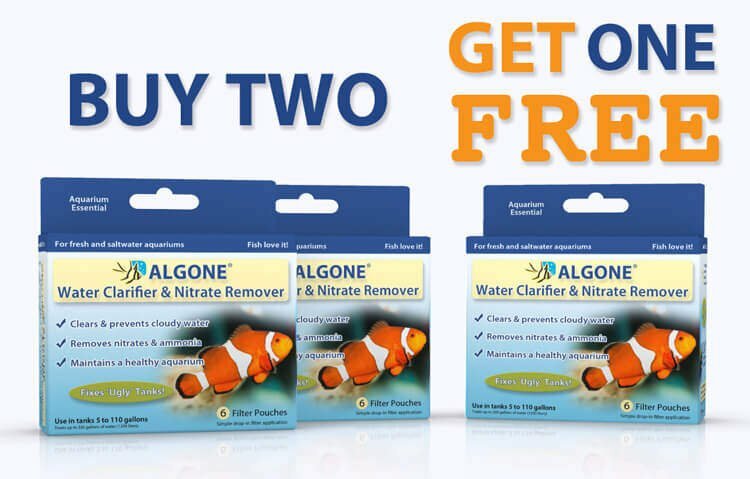 You do not remove any fish when using Algone. 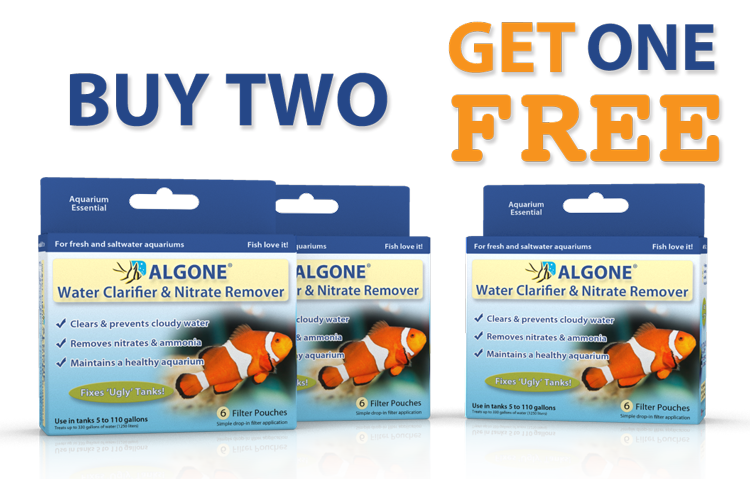 Algone is a filter supplement used either to correct nutrient problems and cloudy water issues, or as a periodical preventive treatment. Simply place Algone inside the filter as outlined in the included instructions. I think you mean “The lower the temperature, the *longer* the digestive time.” because their metabolism is lower.